The Open Budget Week 2017 of Social Action included activities aimed at educating the citizens on the need to support the call on the state governments in the Niger Delta to ingrain an open budget culture and enshrine the practice of citizens participation in all the phases of the budget cycle. The week-long budget advocacy campaign was targeted on the one hand at ensuring that citizens become interested in fiscal issues while pressuring subnational governments to become more engaging, transparent and accountable in the management of public resources. As Buhari presents 2018 N8.6 trillion budget for 2018 to NAS …Any hope for the people? 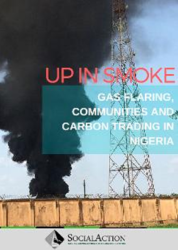 By Isaac Botti, Programme Officer, Social Action, Abuja. The Nigerian federal government on Tuesday, November 7, 2017, presented its 2018 Appropriation Bill to the National Assembly for consideration and approval. 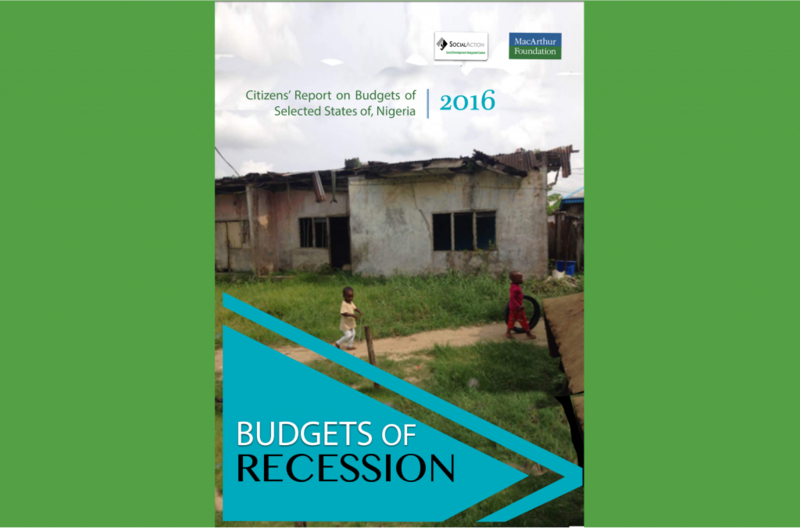 The 2018 federal budget is tagged “Budget of Consolidation”, developed to consolidate on the achievements of the 2017 “Budget of Recovery and Growth”. Taken together, the impression is that the government crafted the earlier budget to revamp and stabilise the economy, while the current proposal is to solidify those gains. Nigeria Government Debt: Citizens are the Victims! 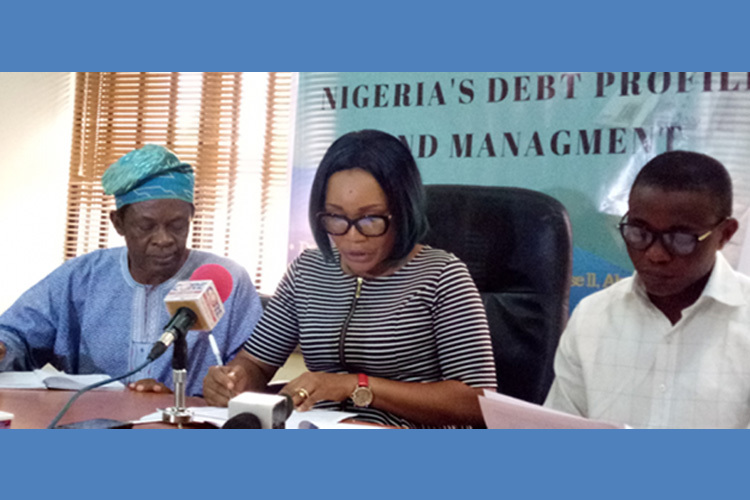 The text of press briefing on Nigeria’s debt profile and management by the Social Development Integrated Centre (Social Action), Abuja, Nigeria, October 19, 2017. 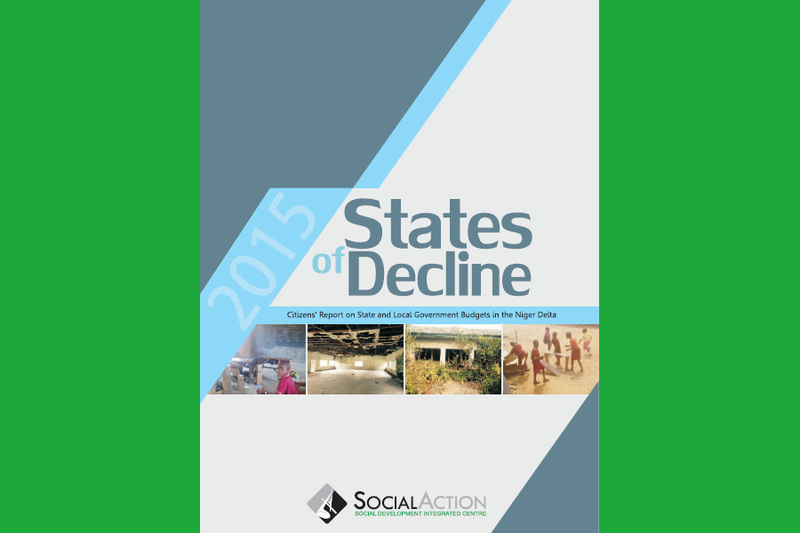 At a National Conference on Public Debt Management in Nigeria organised by Social Action in November of 2015 in Abuja, Social Action presented an advocacy research report on Nigeria’s debt profile and management, including state-level debts. Social Action warned that the indicators emanating from across the economic sectors do not support any further ramping up of debts. We called for action to towards sustained reduction in the debt profile of both the national and sub-national debts. 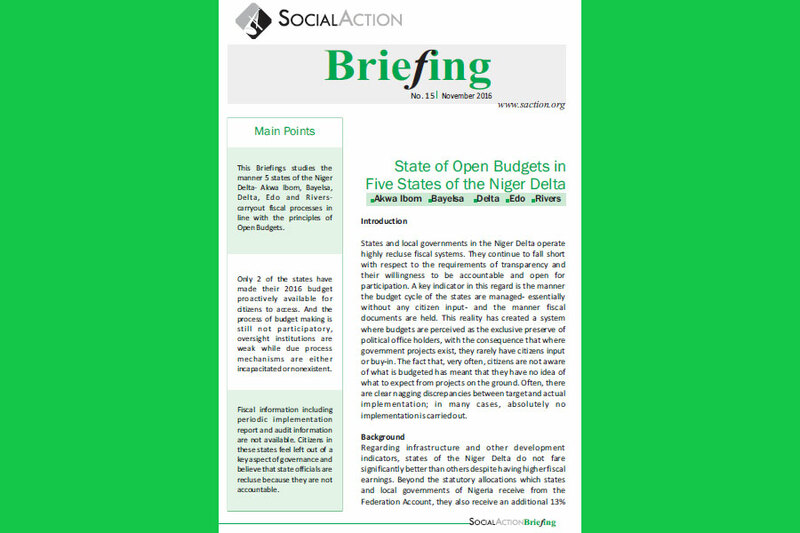 In an assessment carried out by Social Action on ‘states of openness in the Niger Delta’, Edo state came out tops in the statistical analysis of open budget indices. 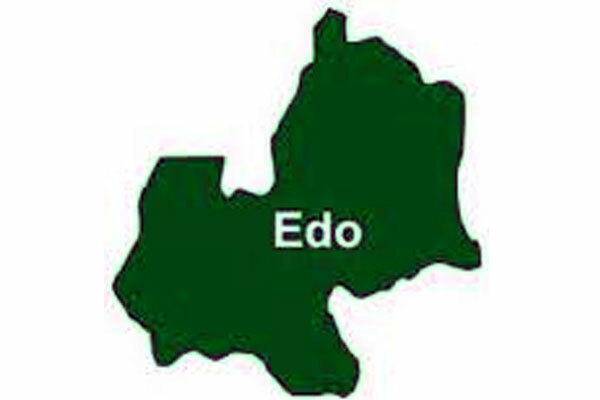 Social Action has congratulated the Edo State Government for ensuring that Edo State blazed the trail in the open budget process. 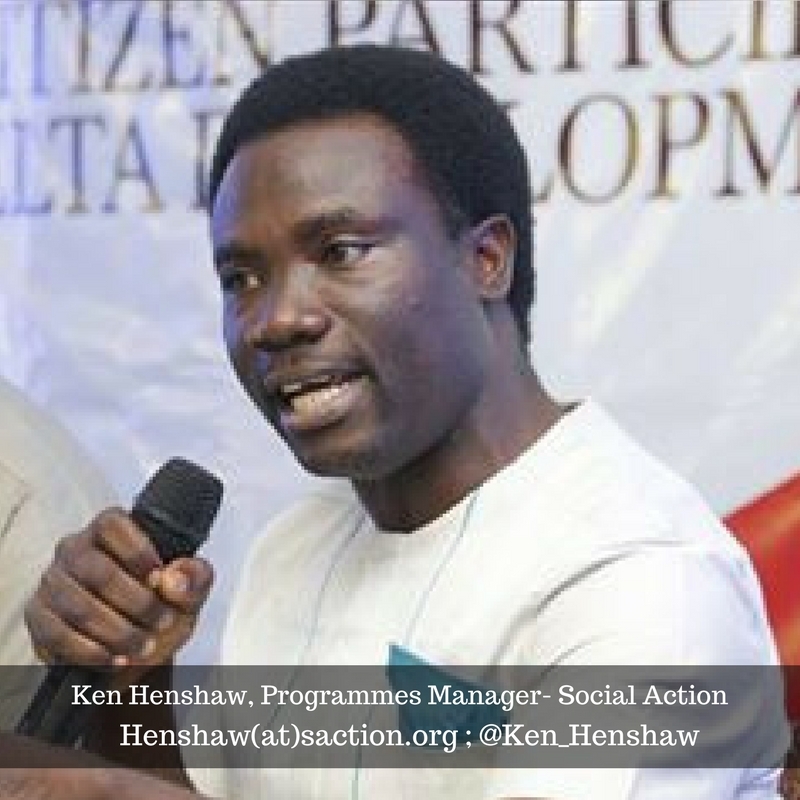 Social Action’s message was conveyed during advocacy visits to senior government officials in Benin City on 21 July 2017. 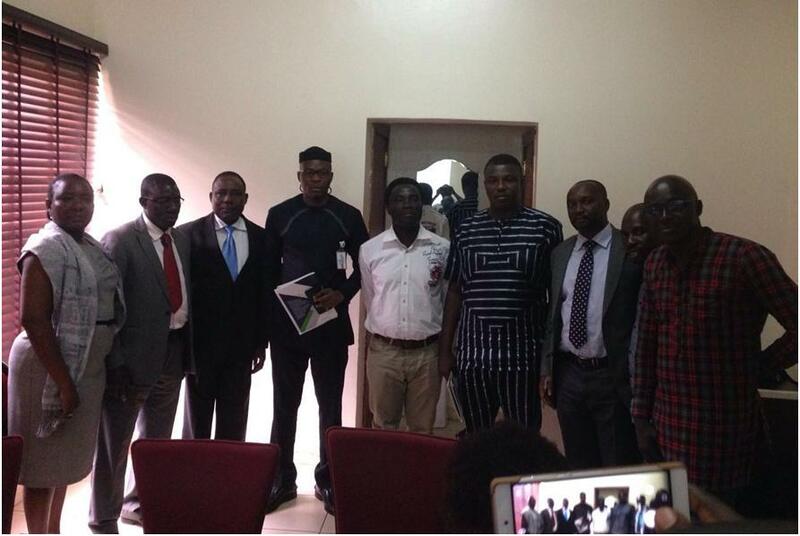 Officials visited included the Chairman, Committee on Information and Appropriation, Edo State House of Assembly, Hon. Damian Lawani, the Chief of Staff to the Governor of Edo State, Taiwo Francis Akerele and the Commissioner of Budget, Planning and Economic Development, Maryam Abubakar. 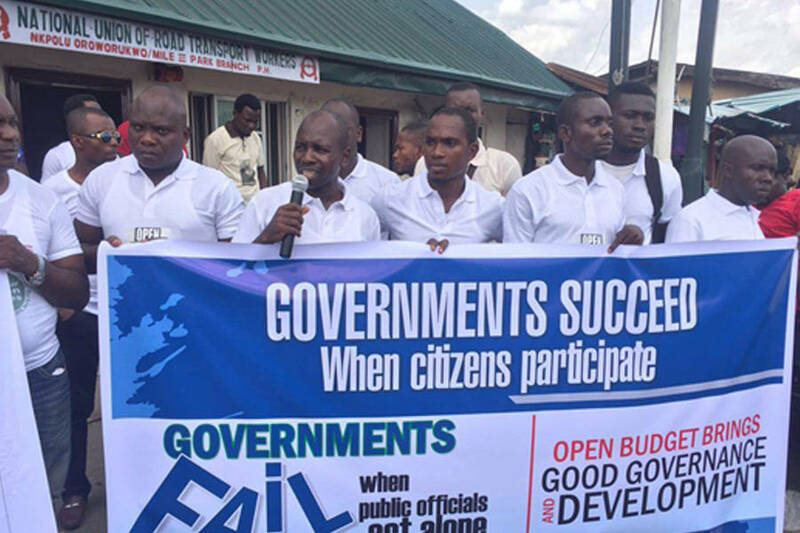 Social Action’s Public Finance Accountability team included Programme Officers Prince Ekpere and Peter Mazzi and members of Edo State Open Budget Cluster. In Nigeria, quite often, accountability in the management of public resources is sacrificed on the altar of cronyism. This state of affairs may be more established at the sub-national levels where about half of all public revenues in the country are expended. 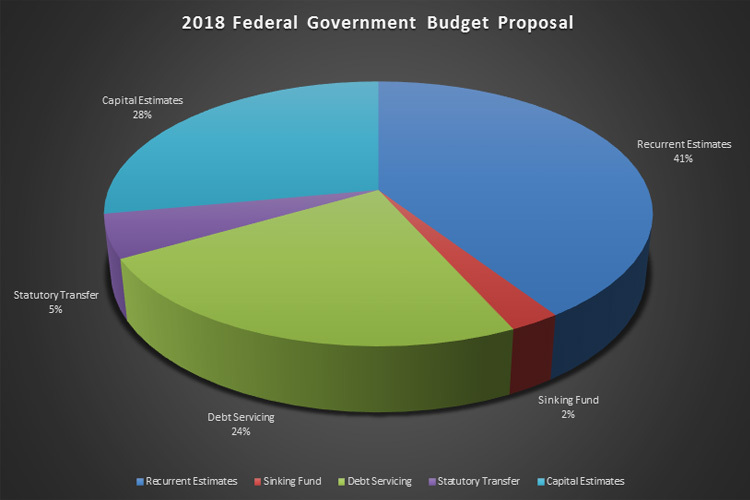 While there is a justified focus on the federal government and the office of the President, in particular, many citizens do not tend to pay attention to the 36 states and 774 local governments which together receive almost 50 percent of all federally collected revenues – not to mention internally generated revenues. 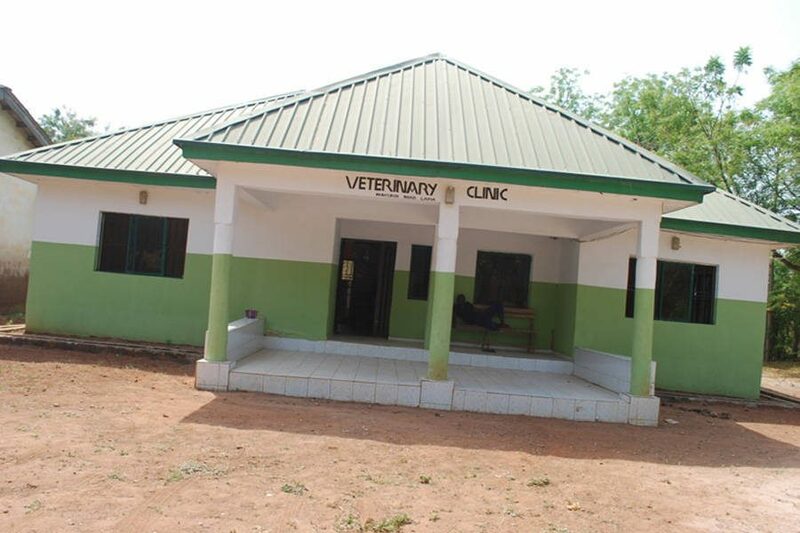 However, the significant allocations to states and local governments from the Federation Account on a monthly basis hardly translate into real benefits for the majority of citizens. Even more worrisome is the breeding of citizens’ apathy towards sub-national governments – the local government councils, in particular. Rather than the tier of government closest to the grassroots promoting participation, what we find is alienation, which further reinforces non-accountability of public officials. 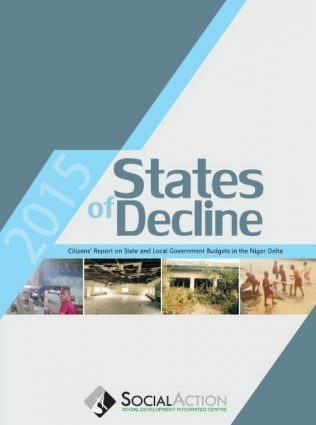 The year 2015 witnessed unprecedented economic downturn in Nigeria. With the price of crude oil in the international market dropping steeply, the Nigerian economy shrank and the government considered activating austerity measures. 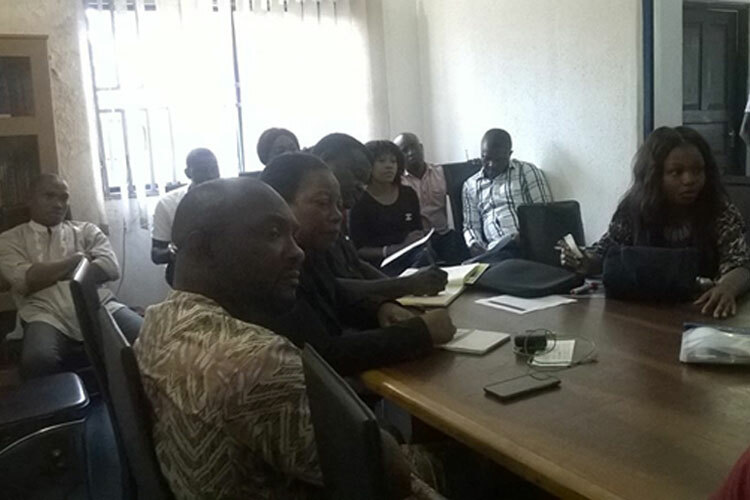 On the 31st of August 2016, Social Action’s Open Budget Cluster carried out a Citizens’ –Government Roundtable meeting on Open Budgets. The event aimed at ensuring that state annual budgets are open and available to citizens. This accessibility of state budgets will kick-start other forms of citizens’ engagement which will lead to more participatory and prudent fiscal practices.